paul gregutt's washington wine blog – unfined & unfiltered: houdini speaks! Monday’s breaking news about the Precept purchase delayed my promised post about Houdini (see last Friday’s blog entry for the background details on why Houdini has suddenly popped up on a wine blog). The bet I made with StoneTree’s Tedd Wildman requires that I prove my assertion that Houdini had promised to communicate from “the other side” (the afterlife) if at all possible. This statement popped out of my mouth much as Houdini himself would pop out of a chamber underwater in which he had been hogtied, handcuffed and locked. Only he was prepared; I was just being my usual spontaneous self. Nonetheless, with the help of my Facebook friends, I have assembled a certain body of information relevant to the debate. In the maybe not category, I'll place this smidgen of "evidence" from a 1953 biopic with Tony Curtis and Janet Leigh. Apparently in the flick, Houdini makes such a promise. If you, like so many of us, take your history lessons from Hollywood, then I rest my case right there. Onward. Another friend cites a Harry Houdini biography by Adam Woog. In it, I am told, Wood details the promise being made, even naming the secret word Houdini planned to use if he made contact with Bess (his wife) after he died. So far, so good. But several people chimed in to bolster Wildman’s argument that Houdini was actually a skeptic who debunked many psychics and mediums. That said, there were certainly plenty of charlatans out there (still are) and he may well have cast aspersions on their fakery, yet still believed in certain aspects of the paranormal. The consensus I am finding is that he had made an agreement with his wife before dying that IF it were possible to communicate with her from beyond the grave, he would attempt to do so. And to prove it was real, he would use the phrase “Rosabelle believe” in his communication. “Shortly before his death, Houdini had made a pact with his wife to contact her from the other side if possible and deliver a pre-arranged coded message. 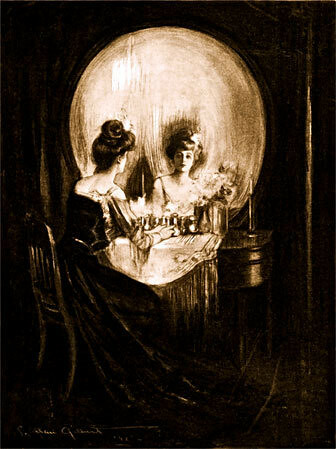 Every Halloween for the next 10 years, Bess held a séance in an effort to contact her husband. In 1936, after a final unsuccessful séance on the roof of the Knickerbokker Hotel, she put out the candle that she had kept burning beside a photo of Houdini since his death. She was later quoted as saying, "Ten years is long enough to wait for any man." So, who wins the bet? I’m happy to call it a draw, and introduce Mr. Wildman to the pleasures of Laht Neppur, which we will enjoy together at StoneTree on a pleasant day in early spring. And I'll have to steal the quote, "Ten years is long enough to wait for any man."